Fighting Parkinson’s, and the Seattle 2014 workshop was recovery! As you know, on Saturday, December 6, 2014, I continued taking my Parkinson’s Recipe for Recovery® on the road. The venue was a return visit to the place of my first workshop two years ago, Seattle, WA. The day was filled with recovery! Imagine: 22 of us, some with Parkinson’s, some of their spouses and partners, one of their daughters, a couple of health practitioners, some from Washington, some from Oregon, and some from California, all in one place with one purpose…Parkinson’s recovery! Some of the people in attendance already knew each other; most did not. However, there was a buzz that resonated through the Seattle Creative Arts Center because nobody in the room felt alone anymore on this journey. There we were, fully vulnerable, opening our hearts and souls to each other. You could feel the common thread of recovery being sewn throughout as we talked, and laughed, and cried, and did the Recipe exercises together. If you were to look back at the picture from the Seattle workshop from two years ago, you would notice that there are a couple of repeat faces. That alone is a testimonial to the success of the Recipe for those people who are doing it. Two people in that picture came for a return visit, a refresher if your will, and neither has taken any Parkinson’s medications. 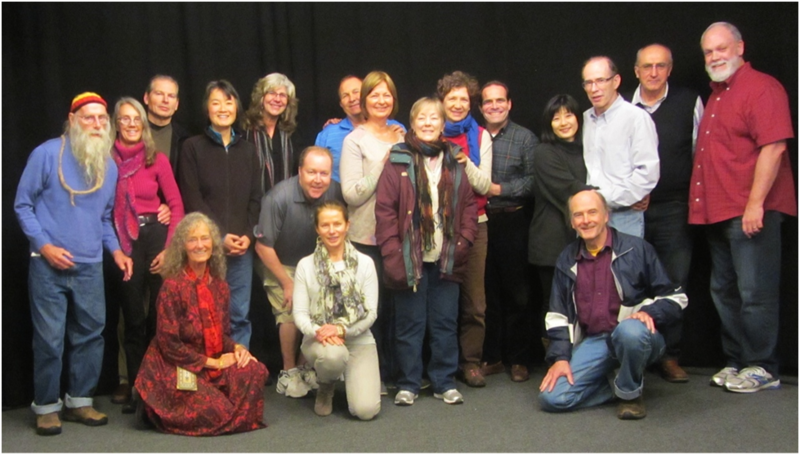 The Seattle group was a group of people not afraid of their Parkinson’s. The Seattle group inspired me. They were people filled with courage and hope and faith and gratitude and love and compassion. Look at their faces…this is a picture taken after a 7-hour workshop. Everybody was refreshed and energized in their recovery! The Seattle workshop was recovery…absolutely an atmosphere of friendship and recovery. 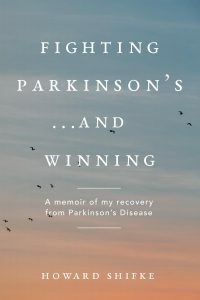 Everybody in the room felt safe to be who they were, Parkinson’s and all…it did not matter…we all were connected. I hope all of you can take some inspiration from this group and keep working on the Recipe on your path to recovery. At the end of Saturday, everybody at the Seattle workshop had hope, real, genuine hope, that Parkinson’s recovery is attainable…and every one of them left the workshop armed with the tools to stay on their path toward recovery with the Recipe and with the firm conviction to not leave that path until they are fully recovered. They know they are worth it! And, as we were wrapping up, some of the people who already had been doing the Recipe suddenly started encouraging the others by explaining how the Recipe was helping them. Then, a young woman who had sat quietly all day, having accompanied her mother to the workshop, announced to us that her mother had started doing the Recipe and that she had gotten her mother back. There was not a dry eye in the room. Clearly, it had been an amazing day of recovery, and there was nothing left to say. 20 Responses to Fighting Parkinson’s, and the Seattle 2014 workshop was recovery! Congratulations Howard and everyone that attended. The photo says it all! It looks as if everyone had a great time. I hope that you are planning a visit to the UK soon as I’m really feeling left out! Love and blessings for everyone’s recovery. Way to go, Howard and Seattle workshop participants. I look forward to your Victoria workshop return in March! First, a heart felt thank you Howard for such a phenomenal weekend. I feel so blessed and honored to have been able to spend so much time rubbing shoulders with you. The workshop was Recovery! I had so much fun while absorbing all of the knowledge and experience that you so freely shared. I felt like a great big sponge just soaking in all of the knowledge, friendship, love , compassion, and healing power. You are a inspiration to me. It was magnificent meeting all of the wonderful people at the workshop. They came from different places, and from all walks of life, but were there with a common goal. We all want and deserve to be Parkinson’s free. Now for any of you who were not there. I fully believe that Howard has made the Recipe for Recovery doable for anyone right from the comfort and convenience of their own homes. It doesn’t matter where you are at along this journey, or your circumstances in life, you can do the Recipe. Remember that your best is always good enough. I like to work like everything depends on me, and then have the faith that a higher power will take care of the rest. There is nothing to fear. Faith is a chose. Fear is a chose. I choose Faith. I am happy to say that I only woke up once last night… At the workshop Howard suggested a solution for people who were having a problem with getting up 3 or 4 times a night to go to the bathroom. He said to drink a glass of water before you go to bed, and then fill a glass and put it on your nightstand. When you get up during the night and go to the bathroom, drink the glass of water. It worked. it is the first time in a long time that I haven’t got up 3 or 4 times to go. Thanks again Howard! Thanks to all of you for sharing you with me 🙂 I love to read your posts each week. Oh, I almost forgot. I am the one standing up in the middle of the picture. I do not have a scarf or a coat on. My husband is in a blue shirt and is standing behind me. I hope all of you have a wonderful, healthy, doing the recipe week. What a fantastic looking group of “Recovery Warriors”. Way to go down the right path to recovery. I wish I could have been there… Next time for sure. Great good luck to all in our growing community of Hope. We are our 0wn cure thank you Howard for Blazing a Recovery Trail for us to follow! Love to All. It is me again. I know that I am preaching to the choir, but I just read a quote that I really loved and so I wanted to share. “You can’t plow a field by simply turning it over in your mind.” ….. and so it is with the Recipe for Recovery. Hi Howard, I have been waiting patiently for this post. I was thinking of you and your workshop all Saturday. I knew Debbie was going to be there and share her day. Debbie I was right! You do look like ” Little Miss Sunshine” I named you well. Thank you for your share of your day. Sounded absolutely Joyous. I love the way so many people in the picture have hands on other people, all connecting. The smiling faces tell it all, much love and healing shared by everyone. Congrats to everyone involved. I know your workshop will make it to Ireland. Fabulous, fabulous post Howard, keep on Rocking! Thank you so much for coming back to Seattle for your second workshop here. It was marvelous! Each time I see you I learn more and understand more. What a lovely happy picture! It does my heart good. Like Karen, I was thinking of your workshop on and off all Saturday. It’s an encouragement to us all. Hello everyone! What a great workshop (my 2nd) with a wonderful man. I can say for myself that I have no doubt this is the right path for me because it is about healing on every level- body, mind and spirit. Howard has patiently and lovingly held my hand through many ups and downs and I am grateful beyond words. This week is the 4 year anniversary of my diagnosis and I can tell you that I am feeling great. Yeah, I still have a shaky hand but I am healing and I am happy. Big hugs to all of you who are doing the recipe and to those that are considering this path, try it! I felt wonderfully encouraged by the picture and the comments. Where do i begin?, it has been a remarkable path to be on. Having the opportunity to meet Howard and my now extended family of “game” participants has allowed me to feel inclusion, (as a professed rebel it is good to have allies). I call, “parkinsons”, the “game”. As those of us that have had the opportunity to share the game board of symptoms, every day is a new card, each roll the dice is kismet. As this saga of what I call “my life” continues, it moves from one chapter to the next, each page is a revelation, each sentence a verb of beautiful and exquisite existence. I see patience as one of my trusted comrades and a state of incredibly curiosity of how “god” will make known, The Inevitable Recovery as i personally witness, with intimate sincerity, the process. The anxieties that rattle my nervous system shake me like a cold winter gale from the East as my heart seeks shelter in the tenacious roots of Faith. What is this twist of fate that continues to test my Faith in and of Love? Logic will not win this game, hence, the longest road traveled is between the head and the heart. Howard was able to exemplify what Recovery” Is”, thus too teach by example. Tim what a touching share. You write beautifully, don’t waste that talent! What gives us Joy, our creativity, whether it be writing, drawing, etc, nurtures our soul which makes our heart soar and gives our heart Joy. So get writing friend, you’re a natural my friend.